 Traveling to Tonga/Fiji with freediving fins? I'm headed to Tonga and Fiji in October and was wondering if anyone has experience traveling with freediving fins on Fiji Airways. Can you carry them on the planes? Should I go out and try to find a large bag to fit the fins and check them on? I've traveled with scuba gear before, and crammed the shorter fins in bags, but I'd really like to take freediving fins with me since the main focus of the trip is to swim with whales, and we're not allowed to scuba near them due to the bubbles. Would love to hear people's opinions and experiences on the best ways to travel with long fins amidst the weight and size restrictions. Hi @bluerabbit, I've been to Tonga with my full kit. I bought a Beuchat Explorer 120L wheeled bag and that fit all my gear including my long fins. The bag held up pretty well. Only caveat is some airlines consider the bag oversize and some do not. A couple of times I've been waiting to collect it from the carousel only to find it was at the oversize baggage collection area.